Gold, silver and platinum surged this week. U.S. Mint sales of silver coins also rallied. 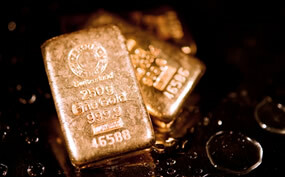 Most precious metals futures declined on Friday but rallied on the week. Gold and silver logged a third straight week of gains, with the former closing near a 3.5-month high and the latter just off from a 3-month high. Gold for April delivery edged up 20 cents, or less than 0.1%, to end at $1,157.70 an ounce on the Comex division of the New York Mercantile Exchange. The settlement was the highest since Oct. 28 when prices ended at $1,176.10 an ounce. "Gold is still a lot above where it was at the beginning of the week and it still looks less likely that the U.S. will go ahead with a rate hike in the next few months so that is positive for gold," Reuters quoted Simona Gambarini, an analyst at Capital Economics. Gold prices soared 3.7% on the week after gaining 1.8% last week and 0.5% the week before then. They are up 9.2% on the year, leading gains among precious metals. Out of 34 market experts contacted, 18 responded, of which 11, or 61%, said they expect to see higher prices next week. At the same time seven professionals, or 39%, said they see lower prices." Silver for March delivery shed 7.2 cents, or 0.5%, to settle at $14.778 an ounce. Silver prices gained 3.8% on the week after rising 1.3% last week and 1.2% the week before then. On Thursday, they finished at their highest point since Nov. 5. Silver futures are 7.1% higher on the year so far. April platinum lost $2.60, or 0.3%, to $903.70 an ounce, but shot up 3.4% from a week ago. Palladium for March delivery declined $16.90, or 3.3%, to $498.70 an ounce, rising a modest 20 cents on the week. For the year to date, platinum has gained 1.2% while palladium has plunged 11.3%. Gold shed $6, or 0.5%, to $1,150.35 an ounce. Silver added 17 cents, or 1.2%, to $14.91 an ounce. Platinum added $2, or 0.2%, to $899 an ounce. Palladium added $8, or 1.6%, to $517 an ounce. For the week, gains totaled 3.5% for gold, 5.9% for silver, 3.8% for platinum and 3.2% for palladium. United States Mint bullion sales posted mixed results on a week-over-week basis with gold coins weaker and silver coins stronger. Gold coin sales climbed by 14,500 ounces compared to last week’s 21,000 ounces. Sales splits include 12,500 ounces in American Gold Eagles compared to 15,500 ounces previously and 2,000 ounces in American Gold Buffalo coins compared to 5,500 ounces previously. Silver coin sales advanced by 1,320,500 ounces compared to last week’s 954,500 ounces. The increase was the best since the 2016-dated American Silver Eagles launched on Jan. 11. The U.S. Mint is still rationing weekly sales of the coins because of silver planchet shortages. All of the week’s allocated 1,045,500 coins were ordered. The limit last week was set at 1 million coins with 45,500 of those unsold and carried over to this week. On Monday, the U.S. Mint released the first 2016-dated America the Beautiful Five Ounce Silver Bullion Coin. Commemorating Shawnee National Forest in Illinois, it logged first-day sales of 41,800 coins and went on to tally a first-week total of 55,000 coins or 275,000 ounces — the highest for any release in the series since those from 2011. Limits per design for this year’s five ounce issues have been raised to 150,000 coins from last year’s 65,000 coins. The maximum total will be spread across the bullion version and the collector uncirculated edition. The collector Shawnee uncirculated silver coin will go on sale Feb. 25.
there a rumor : US Mint purchase Silver blank from Perth Mint , is it true? Our nation mined so much silver , Why not buy it from our silver mining companies ? Why did US buy from other countries ?